Media: 192 pages; Format 8.5 inches by 11 inches. 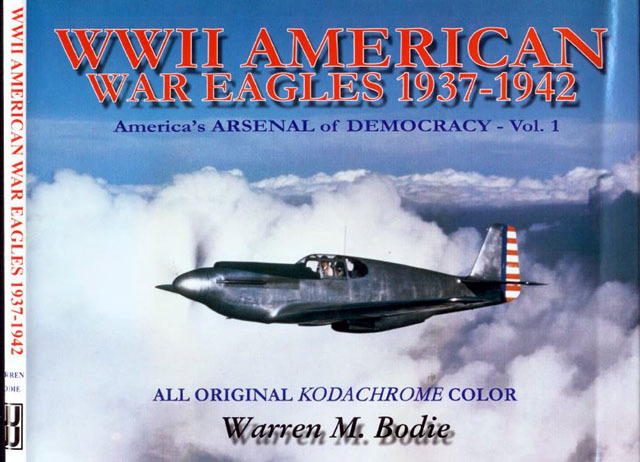 Advantages: Glorious wartime Kodachrome reproduced in beautiful colour; first in a series; more than 100 aircraft types covered including some esoteric subjects; captions provide description and history of each aircraft; colourful pre-war schemes covered too. You need that last minute gift....perhaps for yourself? Maybe a coffee table book? Well this is the one to get. This is one of the most beautiful collection of Kodachrome pictures of aircraft that I have seen yet. It is not that there is anything unique here. It is that these pictures have been reproduced in all the glory that modern color printing technology will allow. This is a book to lose yourself in. This book, which appears to be the first volume in a series, covers the immediate pre-war up to the attack on Pearl Harbor. The final picture in the book is a magnificent color picture of the USS West Virginia on fire with the USS Tennessee right behind her. There are no less than 100 types and subtypes represent in the most beautiful color. 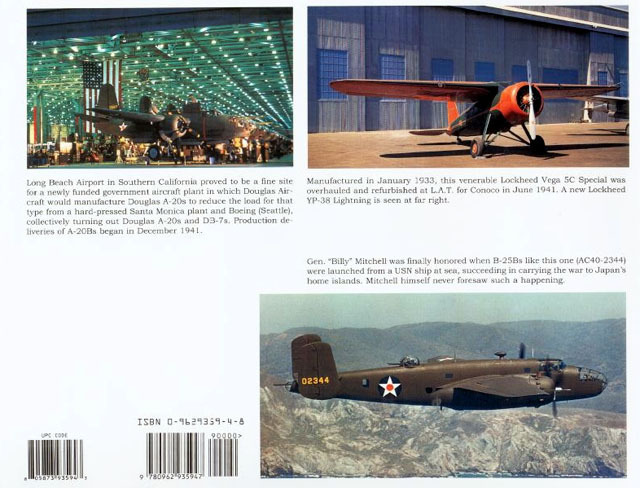 Not Just your run of the mill early B-25A Mitchells and F4F Wildcats, but also aircraft such as the Curtis A-18 Shrike in washable British style camouflage, and F2Fs and F3Fs in all their pre-war colorful markings. How about a natural metal AT-18 (Hudson) with a Martin Twin 50. cal turret. There are a number of pictures of aircraft intended for the RAF, Hudsons, P-400s, P-38/322-B, Vengence and others. 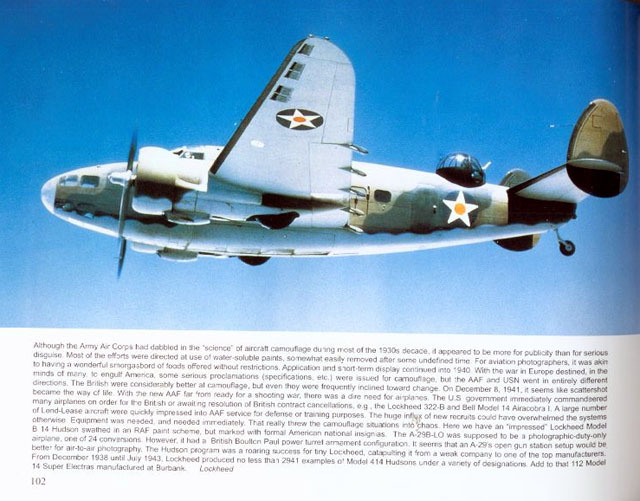 What is quite clear in all this color is that the underside on these aircraft was Sky Gray, and very pale at that! One of the best surprises is the picture of the Northrop N-1M Flying Wing. There is a picture of John K. Northrop in the cockpit of the brilliantly yellow aircraft. Close in, it looks more like a racing car cockpit than an aircraft cockpit. 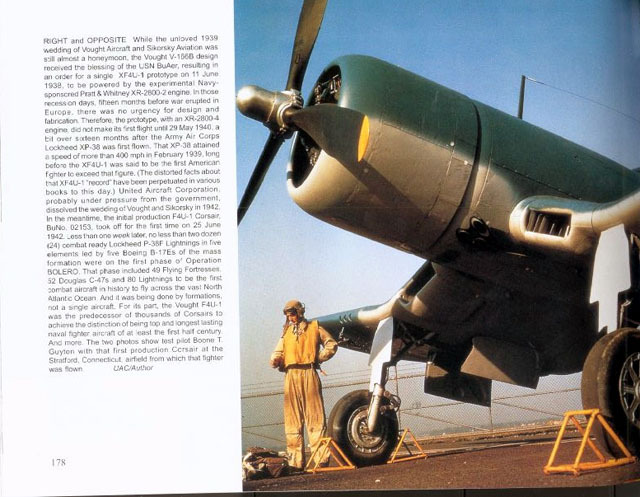 While most books give you a line or two caption, Bodie has seen fit to give a full description and some historical background on each aircraft. The information will add to your knowledge of the aircraft covered in this volume. I unreservedly recommend this book to anyone who loves the sight of pre-war American aircraft in all their magnificent color. For pure visual pleasure, do not overlook this book. This is a gift that will keep on giving, as long as you keep looking at it. Review Copy paid for by Modeldad...who drooled all over the cover, so he had to buy it!